Opening Remarks- Susan Corser MCIP.... the staff member primarily responsible in bringing us all together! The `roots' of our beloved HWAB more or less date back to intense discussions at a by-invitation meeting held by the Planning Advisory Committee (PAC) of the Municipality of the County of Halifax on September 18, 1995. The County PAC laid the foundations of the WAB, an action which is a true sign of `participatory democracy'. The present Halifax Watershed Advisory Board (HWAB) thus had its beginnings as the Halifax County Watershed Advisory Board, and had its first official meeting as a formal board on February 28, 1996 in Boardrooms I and II, 2750 Dutch Village Road, Halifax! The direct events leading up to the creation of our present Halifax Watershed Advisory Board (HWAB) can be traced back to a letter dated June 27, 1995 that Mr. Tom Mills of the Shubenacadie Watershed Environmental Protection Society (SWEPS) wrote Mayor Randy Ball of the Municipality of the County of Halifax urging him to set up a watershed committee for the County as a subcommittee to the Planning Advisory Committee (PAC). Chronological History- a time capsule! But to be factual about the chronological history, the County of Halifax did have two semi-formal watershed type committees in the past, and they were the Shubenacadie Lakes Advisory Board (SLAB) during the 1970s, and the Sackville Rivers Advisory Board (SRAB) during the 1980s! But neither of these committees had formal staff support and there were serious `volunteer burn-outs' as a result. Among the present members of the WAB, Keith Manchester and Shalom M. Mandaville were members of the SLAB (Shalom only during the last part), and Shalom M. Mandaville was a member of the SRAB for a few years. Further, the Plan Review Committee (PRC) of the County of Halifax organised a major session on the Environment on January 24, 1989 at the strong urging of the now sadly departed Councillor Murdock MacKay. Many groups were invited to make presentations. 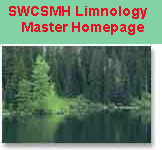 The groups that I, Shalom, can recall attending were the Cole Harbour Heritage Society represented by Elizabeth Corser; a new group, the Soil & Water Conservation Society of Metro Halifax (SWCSMH) represented by Jean Knowles and Shalom M. Mandaville; the Halifax Wildlife Association involved in the improvement of the Little Salmon River, Lake Major area; and a handful of others that I cannot recall the names of. But unfortunately at the time, the County refused to set up a formal committee although some of us suggested so to the County Councillors present at that time. I, Shalom, feel there was not enough of an urgency unlike in 1995 when there were serious concerns that the County area would not be adequately addressed subsequent to the municipal amalgamation on April 01, 1996. The meeting was called to order at 6:05 p.m.
Councillor Hendsbee introduced members of staff and requested that committee members and guests introduce themselves. County planner, Susan Corser, explained that the purpose of this meeting is to discuss the possible creation of a watershed advisory committee for Halifax County Municipality. She stated that Municipal Council has directed the Municipal Planning Advisory Committee to look at the establishment of this committee. Representatives from the three existing municipal watershed advisory committees were invited (two committees in attendance were the Dartmouth Lakes Advisory Board and the Halifax Lakes and Waterways Advisory Committee). Invitations were also sent to groups involved in the protection of watersheds and related activities. Tom Mills stated that Halifax County is the only municipal unit involved in amalgamation which does not have a watershed advisory committee presently in place. SWEPS took the initiative and brought forth the idea of forming a committee by contacting the municipality. He explained the purpose of this meeting is to look at forming a watershed advisory committee for the County of Halifax before amalgamation in April 1996. Tom Mills explained that SWEPS mainly concerns itself with the Shubenacadie Lakes system and the quality of its drinking water. He explained that other areas of the County which are more urbanized are more concerned with the recreation aspects of its waterways, as they already have water supplied through the Pockwock system or some other means. He suggested that the County give community groups an opportunity to have more input into planning issues which are going to affect the water quality. Presently, there is no formalized process in place for informing the public when lots are being sought for approval along the floodplain. Audrey Manzer congratulated Mr. Mills on making the meeting happen tonight. She recently read a copy of a memo from Municipal Affairs stating that as of April 1996 all boards associated with the protection of watersheds will be dissolved. She explained that the Dartmouth Lakes Advisory Board will have been in existence, as of April 1996, two months short of 25 years. The Board consists of volunteers who advise Council with respect to development proposals, particularly as they affect watersheds and lakes. The Board meets with developers and advises them of watershed concerns and lake protection. She explained that their group consists of community representatives (15 members) who are nominated for a three year term. These representatives are nominated by organizations such as the Bedford Institute of Oceanography, N.S. Research Foundation, Barristers Society, Council, Community Planning Association, Dartmouth "Y", Urban Developers Institute, etc. Greg Harrington stated that the City of Halifax Lakes and Waterways Advisory Committee is informed of issues only if the developer or the Planning Advisory Committee has concerns with waterways. They are presently trying to change the process to expand their mandate to allow the committee to look at issues earlier on. Council for the City of Halifax has recommended, however, that no action be taken. Council has, however, recommended that the committee meet with other committees in the region to recommend a strategy for the consideration of the new Council. Councillor Hendsbee requested that any information circulated at this meeting be sent to an organization in the Preston area known as the Watershed Association Development Enterprises (WADE) to the attention of Mr. Wayne Desmond (Chairperson), as they are not represented this evening. Councillor Merrigan suggested that a recommendaion be put forward to Bill Hayward asking that the existing watershed advisory committees not be eliminated when amalgamation takes place. He felt that these groups are absolutely necessary and that more than one group should represent the new Halifax Regional Municipality. He agreed that a committee be established and asked for volunteers tonight. He requested assistance from the City of Dartmouth Lakes Advisory Board and the City of Halifax Lakes and Waterways Advisory Committee with the formation of a watershed advisory committee for the County. Deputy Mayor Cooper stated that because water respects no political boundaries, each watershed advisory committee should define itself. He felt that most advisory bodies will continue after amalgamation unless changed by a new Council. He agreed that a new committee be formed quickly and that a recommendation be ready for the new Council. David Dwyer stated that he had been a forester in eastern Halifax County and associated with the Department of Lands and Forests from 1946 to 1986 until his retirement. He felt that in the new Planning District 1 (currently known as Districts 10, 11 and 12), the biggest threat to the watersheds is the logging industry due to lack of restrictions. There are currently no regulations over cutting practices on any of our watersheds. The pulp mills are now booming and making profits. All sawmills are trying to stay in business. The province has no idea how much wood is being cut or shipped out of the province. He felt that cutting practices in some areas are terrible and that maybe an advisory board could be useful. Shalom Mandaville stated that he is with a regional group called the Soil & Water Conservation Society of Metro Halifax. They have been studying most watersheds from Hants County to the eastern areas of Halifax County, Dartmouth, Halifax and the western areas of the County around St. Margarets Bay. He advised that there is no other institution in Nova Scotia that does research on lakes. He suggested that watershed advisory committees be open to everybody and that many ratepayer groups would be very interested in participating. Chris Milley stated that he is co-chair of an organization in the process of being formed called the Woodens River Watershed Environmental Organization. Their community is made up of rural areas along the shores of St. Margarets Bay and urban style suburbs at the headwaters. He explained that a major problem being experienced is PCB contamination in Five Island Lake. This is one of the issues which caused the formation of this organization. The idea behind this organization is to set up a management plan to be implemented by the community. He also agreed that in order to get views from everyone, anybody should be able to participate in an overall advisory committee. Walter Regan stated that local watershed groups should report directly to the local community council. Each community group could send one member to a committee that would advise the Regional Council. This way the entire County would be represented plus local concerns would be addressed. He suggested that a companion committee be set up focusing on the environment in general, for example clear air, forest, etc. He felt that this meeting is a first good step and it is supported by their association. Councillor Hendsbee dismissed himself from the remainder of the meeting and thanked Councillor Peters for taking over as chairperson. Mr. Wayne Stobo indicated that he is a member of SWEPS and co-chair of an organizaion called Preservation of Waverley's Watershed (POW). He explained that POW was formed to try and deal with another quarry in the Waverley area. He stated that he is an employee of the Department of Fisheries and Oceans and that the department is pursuing a course of action to get out of freshwater management. The intent is, on a temporary basis, to transfer those responsibilities to the N.S. Department of the Environment. In terms of setting up advisory bodies, he believes for the interim, that Halifax County is too large to have a single body. Any group that has a responsibility associated with part of a watershed should, in fact, advise on the total watershed. Halifax County Storm Drainage Engineer, John Sheppard PEng, stated that there is provision in the new Environment Act for the formation of community interest groups. 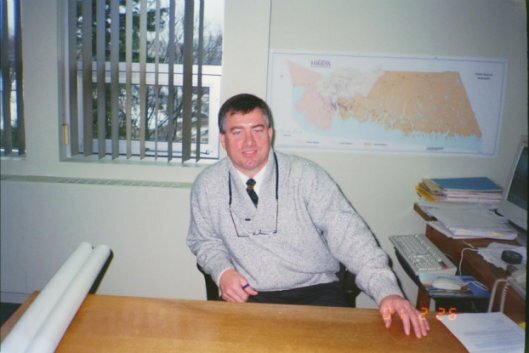 He and Walter Regan are involved in a specific group which deals with erosion and silt problems in the Little Sackville and Large Sackville River watersheds. He acts as a contact person for some groups within the County whose specific objectives may not necessarily be broad enough to fit within the context of the advisory board format being discussed tonight. One group deals with erosion and silt control, another deals with activities around the shore of a lake, and another at Bissett Lake is interested specifically in the growth of weeds and grass in the lake. He felt that all these groups should be kept involved. Bernie Hart believes that the County has serious problems due primarily to situations not being endorsed or encouraged. He felt that in order to prevent these problems, people within the community should take responsibility for the area in which they live and groups should work together in a systems approach. Audrey Manzer, in her experience, believes that for the success of any watershed advisory group, it should be an area that the people know. Firstly, the group should be based on a community scale so that you can get knowledgeable people who know the area and who are known in the area. Secondly, there should be some way that this group can relate to staff at their level. Thirdly, the group must be able to relate on a very easy basis to the decision makers. Shalom Mandaville expressed that the board should have one representative from every group and one from every ratepayers association. The board should not be limited in any means, it should be open to everybody. Delphis Roy suggested that the board be formed by people from all areas including those in the headwaters areas like Hants County. Tom Mills indicated that the N.S. Department of the Environment has a map of the province with every watershed clearly delineated. It would appear that we are probably dealing with ten watersheds that will be encompassed within the amalgamated area. Anyone interested in seeing this map should contact Darrell Taylor at the N.S. Department of the Environment. Mr. Mills informed that SWEPS will still continue despite the formation of a watershed advisory board. Steven Rigden said that watershed management within Halifax County is extremely important. On behalf of some of the smaller groups that exist, in his opinion he felt that the smaller groups is where the energy is when doing things about the environment. The local environmental committees that exist should therefore be strongly supported. Representatives on the watershed advisory board should come from the local communities. Barry Alexander acknowledged the momentum of environmental knowledge and awareness that exists and expressed concern that it would be lost if something is not done before April 1, 1996. He proposed that a recommendation be forwarded to Council such that an advisory board be established to look after the watersheds. A transitional plan should also be looked at for when the new Council comes in to effect. He suggested that the new committee be comprised of 10-12 members. Councillor Peters informed those present that she made the motion at Council on August 1, 1995 to give serious consideration to establishing a Watershed Advisory Sub-committee which would report back to the Planning Advisory Committee. She stated, as an example, that the Fire Advisory Board reports to the Service Standards Committee who reports to Council. She felt that the Watershed Advisory Sub-committee should follow a similar process. She would ask that anyone interested in volunteering to be on this committee come forward. Councillor Peters expressed that it is important to put a full advertisement in the newspaper requesting volunteers for this committee. The main purpose of this meeting is to see if there is interest in forming a watershed advisory board for the County which would give it an entity going into negotiations for the new regional municipality. Deputy Mayor Cooper suggested that if there was a consensus of those in attendance, then a recommendation should go to Council to establish a watershed advisory committee. There definitely seems to be sufficient interest in the Municipality in protecting the waterways. Councillor Peters questioned whether Deputy Mayor Cooper was also suggesting that a committee be formed from those in attendance this evening or whether it should initially go to a public meeting. Deputy Mayor Cooper noted that they would first have to get authorization from Council to establish such a committee and then they could advertise for expressions of interest and have a selection committee made up of councillors. Anne Merritt questioned whether the terms of reference would be prepared prior to advertising for expressions of interest and who would prepare them. Councillor Peters responded that it was the intention initially to see if there was an interest in forming such a committee. Those people interested could be asked to attend a meeting on a specified date. Deputy Mayor Cooper indicated that once Council endorses the idea of establishing a watershed advisory committee, it can then, on the same night, address how the matter would be addressed. A steering committee could gather information for terms of reference and advise Council of final numbers, etc. Council Peters noted that Council meets tomorrow night and on the first Tuesday of October. Tom Mills expressed concern with the timing and asked that if people in attendance tonight are interested in serving, that they let him know tonight in case Council decides not to advertise. It was also suggested that it might expedite matters if a model terms of reference was ready for the first meeting. Susan Corser agreed to get the terms of reference from Bedford and other materials together before the first meeting. It was the consensus of those in attendance to recommend to Council that a watershed advisory committee be formed for Halifax County. The meeting adjourned at approximately 7:45 p.m.
"A Watershed Advisory Committee be established, and that further the matter be referred back to the Municipal Planning Advisory Committee with direction that the Municipal Planning Advisory Committee work with community groups, and together, form an appropriate committee structure with terms of reference, and that the completed terms of reference be brought to Council for ratification before the end of November 1995." Municipal PAC recommended approval of the November 27, 1995 memorandum of the Dept. of Planning and Development and the draft terms of reference. At its session on December 05, 1995, Municipal Council approved the Terms of Reference for a Watershed Advisory Board. An advertisement soliciting expressions of interest from individuals willing to serve on the Board also appeared in the Mail Star and Daily News on December 22 and 28, 1995. It was expected that a list of potential appointees of individuals as well as community-based organizations would be provided to Municipal Council for its session on January, 16, 1996. We salute the Chebucto Community Net (CCN) of Halifax, Nova Scotia, Canada for hosting our web site, and we applaud its volunteers for their devotion in making `CCN' the best community net in the world!